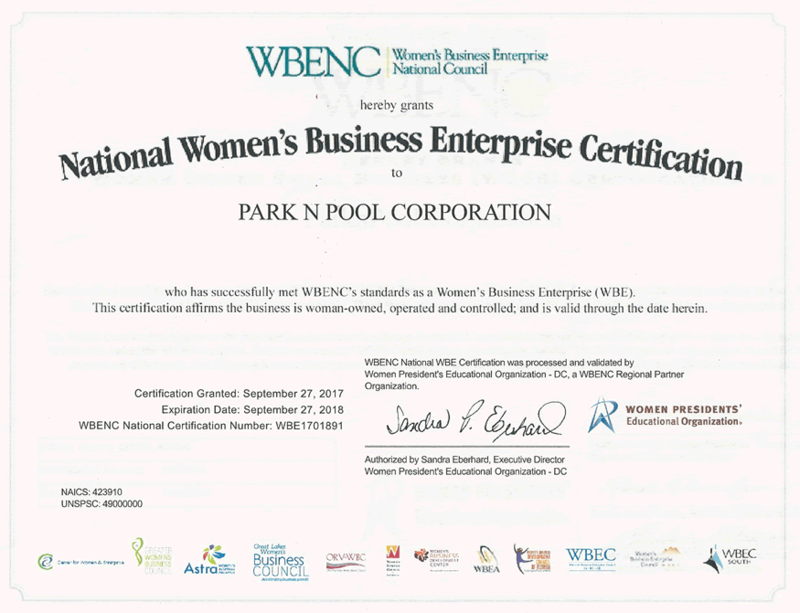 Page 1 - ParknPool's Private Label Commercial Chaise Lounge Chairs - Unquestionably The Best Value in Commercial Pool Furniture. Page 3 - Tropitone Contract Chaise Lounge Chairs - The Most Innovative line of Outdoor Furniture in the U.S.A. 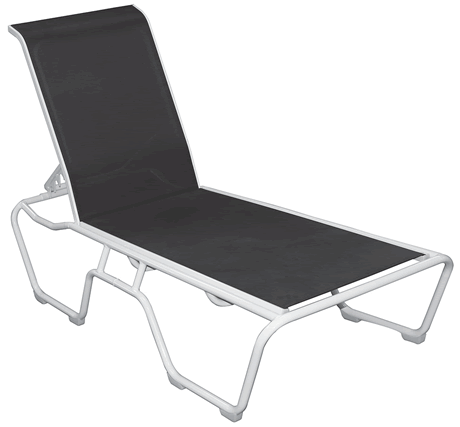 The ParknPool pool chaise lounge is engineered, manufactured and time tested to provide exceptional service. 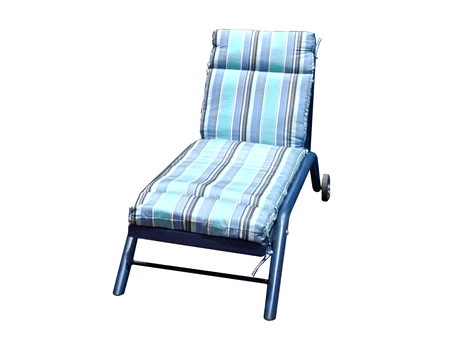 ParknPool has sifted through nearly 100 manufacturers to find you the best value for poolside lounge chairs. 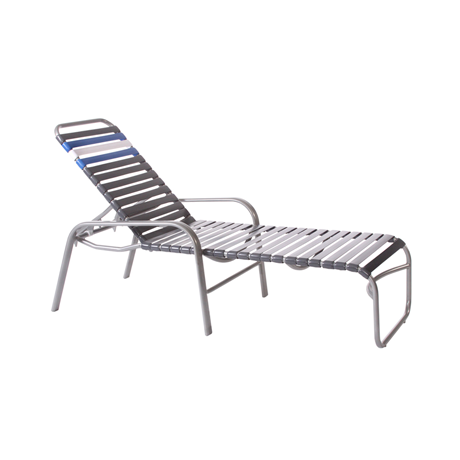 A commercial pool chaise lounge from ParknPool will stay strong and beautiful for more than three years in the heaviest of resort traffic; much longer with more occasional use. 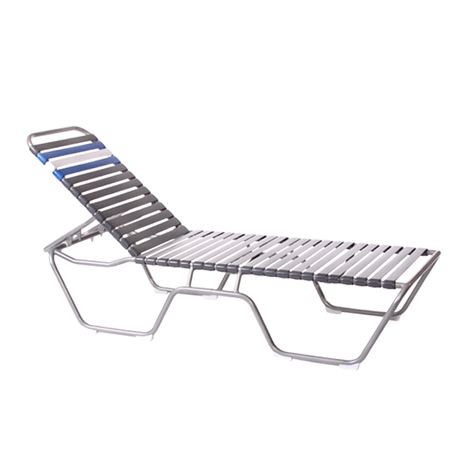 After more than 18 years of providing these chaise lounges to hotel, apartment, and public pools, we are confident that your choice of any of these poolside lounge chairs will exceed all your outdoor pool furniture demands! Grosfillex Resin Chaise Lounge has a 5 year life span in the elements, and then this resin pool furniture can be recycled to keep the Earth green. 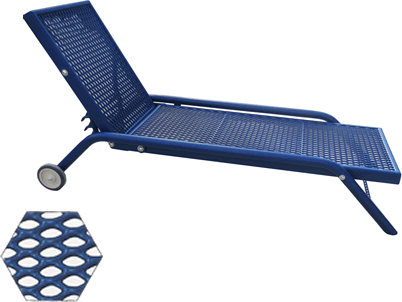 For your safety and liability, These Grosfillex chaise lounges are only commercial grade. Look at the Bahia Chaise Lounge; it is the best selling commercial chaise lounge all over the whole world! Tropitone Furniture is recognized as the premium commercial pool furniture by resort professionals. 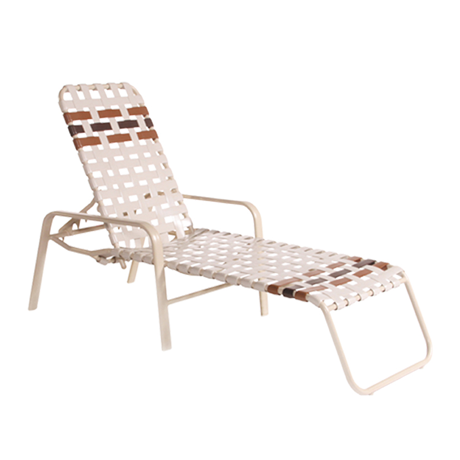 Although Tropitone manufactures a very elegant line of residential patio furniture, ParknPool models here are NOT residential. They will stand up to heavy commercial use. 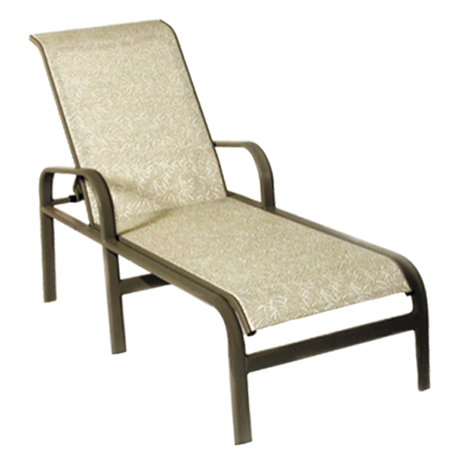 The Kahana Style Tropitone Chaise is very popular and seen at most Marriott Hotels and Vacation Resorts worldwide. 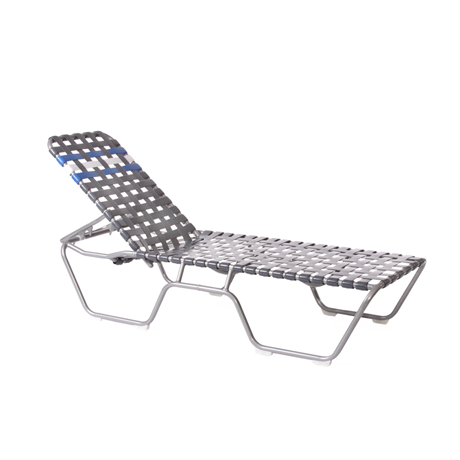 ParknPool Aluminum Chaise Lounges - Vinyl Strap or Fabric Sling. Heavy wall (minimum .065 ga.) aluminum tubing, 365° heliarc welds, stainless steel hardware, and designed for commercial pool applications. 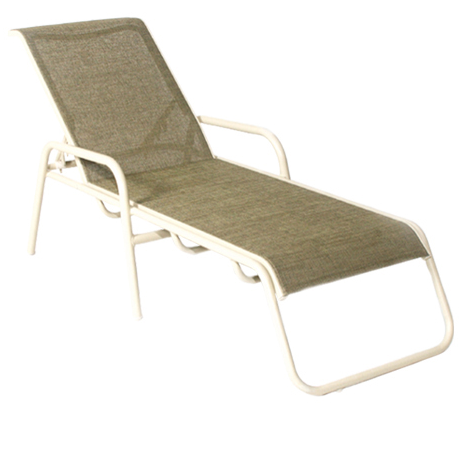 The Aruba Chaise Lounge has been the mainstay of aluminum chaise lounges for over 20 years. It is economical, looks great, and withstands the riggers of public use. 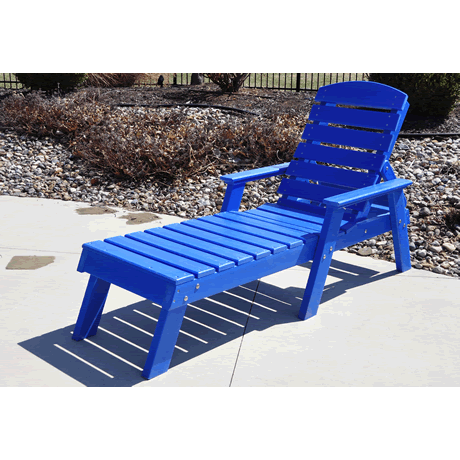 Recycled Plastic Pool Furniture and Recycled Plastic Lifeguard Chairs are constructed from impervious plastic and stainless steel hardware. What could be more suited for your pool deck? This earth friendly pool furniture can last for decades, and can then be recycled! Increase your revenues with poolside service flags. Whether serving drinks or snacks, service flags are an easy way to make sure that your attendants are on top of things. 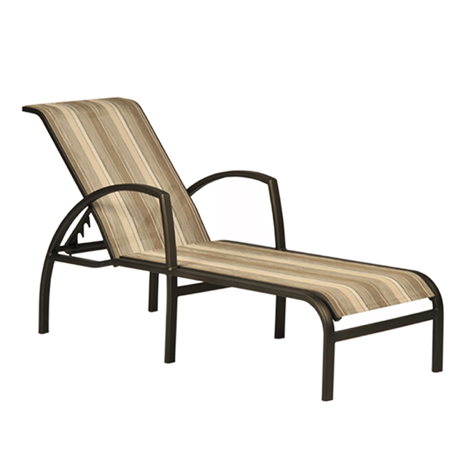 Call us at (877) 777-3700 to help you choose the perfect chaise lounge and matching pool furniture accessories.